A large slight risk is out for tomorrow, and Monday is looking more, and more interesting. The HRRR is showing a conducive environment for a few tornadic storms later this afternoon in Southern LA. We'll have to see how the current MCS progresses into the Gulf of Mexico and how that will impact the environment later on. Got an Enhanced risk now. Been quite the messy couple days down south. We just sent one of them there Mexican lows y'alls way this morning. So there's some lift heading east. The SPC's Day 2 update just put me in the slight risk. Rolling thunder in the distance with the windows open. I consider this the perfect day. Stay safe out there. 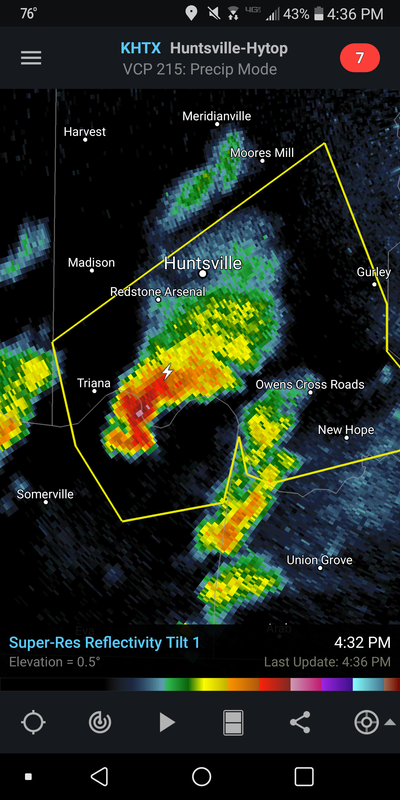 I was told it's not showing rotation but that storm they just issued the thunderstorm warning for that's headed for Huntsville is making me nervous. My son is in Huntsville for a Wrestlemania party. 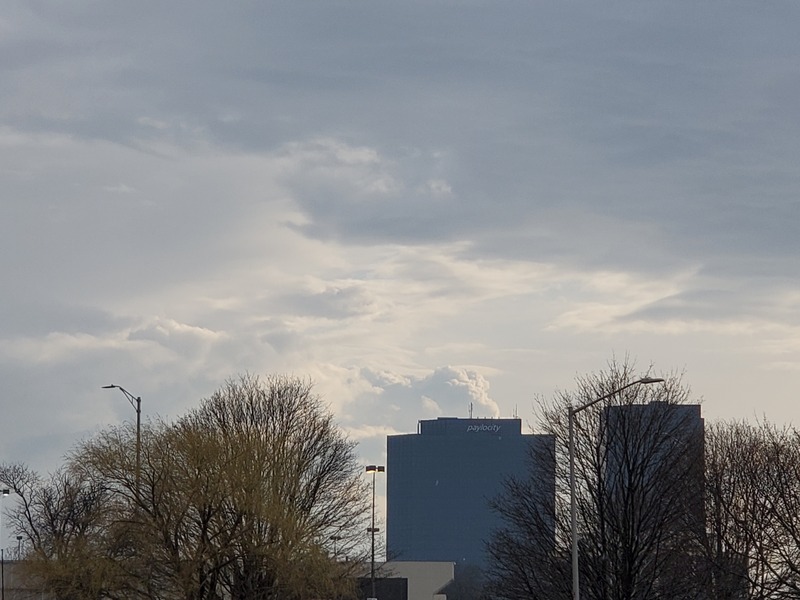 I know, today's conditions aren't great for tornadoes, but it IS April in Alabama and it is soooo hot and muggy outside. 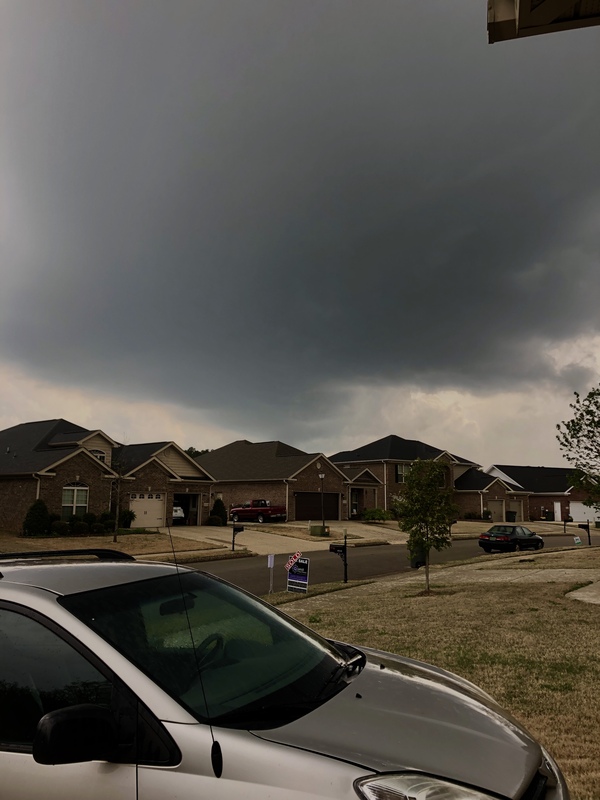 At least in Alabama, today is the kind of day you worry about your car getting dinged up from hail than any tornadoes really. It's about as close to nonexistent as possible. 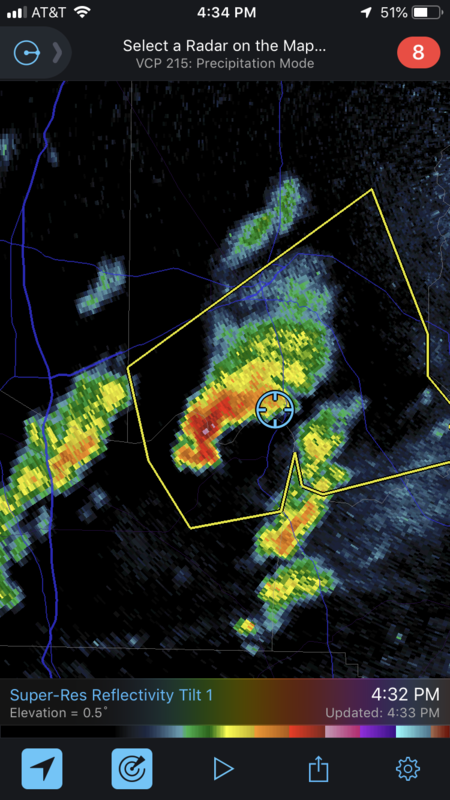 Nice supercell with a lowering in North Alabama. Storm went right over the top of us. Glad it’s not one of those bad weather setups today. Probably get to see some nice structures today. LCL's are 1000-1500m. Regret missing the storms back at home but had a nice storm roll over here in Schaumburg IL a few minutes ago. Didn't really fully expect to have thunder this far north today. Came right over TalkWeather HQ. Nothing to write home to mom or NWS about but it was nice to watch. Pretty good rotation on the tornado warning in SW Mississippi. Multiple areas of stronger rotation embedded within the squall like moving across LA. Now my parents are under a tornado warning. There's gonna be a lot of spin ups within that line.